Legal Separation in Virginia: What Does It Mean? The decision to end a marriage is emotionally painful and often very difficult for both spouses. But unlike an unmarried couple, you can’t simply move out and move on: You’ll need to go through the divorce process to officially dissolve your relationship in the eyes of the state. For many couples, the first step on the road to divorce is separation, especially in no-fault cases. In some states, couples can file paperwork to officially claim the status of “legal separation,” in which they live apart and fulfill certain marital obligations prior to a divorce, as agreed to by a court order. This is not the case in Virginia. 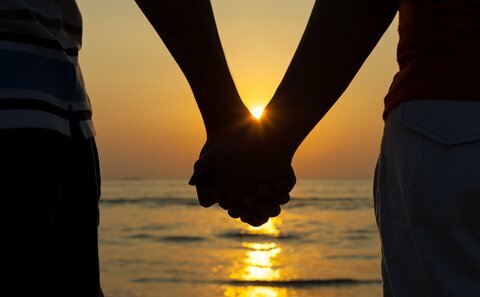 Here, a married couple is considered “legally” separated if one or both members intend to end the marriage, and cease to cohabitate as a married couple. The first of the two main criteria for separation is simple: You and/or your spouse must believe the marriage is over and decide that you will seek a divorce. This decision may be made separately or mutually, and your husband or wife does not have to share your intention. However, a divorce court will not recognize the official start of your separation until you clearly communicate your desire to end the marriage to your spouse (more on that below). The “cohabitation” requirement can be a little trickier if you still live in a shared residence – which many couples do at the time one or both of them decide the marriage is over. The easiest way to stop cohabitating as a married couple is for one spouse to move out, but that’s not always practical or financially possible, particularly if you have children together. Fortunately, you can still be legally separated from your husband or wife while you’re under the same roof, but you must live and treat each other as platonic roommates. This means, first and foremost, that you cannot share a bed or room, nor can you act like a couple inside or outside the home. For example, you can’t shop, cook, or clean for each other, sleep together, go on one-on-one outings together, etc. Essentially, you must not behave in ways that would indicate you are a married couple. How long do I have to be separated before I can get divorced? 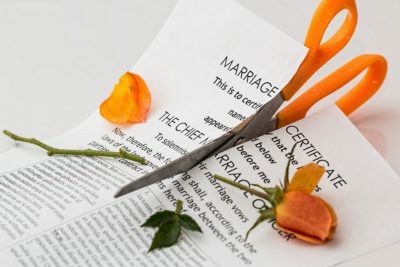 Before a spouse can even file for a no-fault divorce, the Commonwealth of Virginia requires that they be officially separated for one year, or for six months if they have no minor children and create a separation agreement. In fault-based cases on the grounds of cruelty, desertion, or abandonment, you can file for a limited divorce from “bed and board” at any point after your separation period begins. However, the court will only transfer a limited divorce to an absolute divorce from the bond of matrimony (i.e., you become legally single) after the couple has been separated for a full year. Establishing the date of separation becomes important here: If the timeline is contested by either spouse, it may delay your divorce proceedings. A surefire way to prove the timeline of your separation is to both sign an agreement that clearly states the date you separated, and that you have no intention of reconciling. If one spouse moves out of the marital home and communicates the intent to end the marriage, this can also be considered a valid date of separation. Your separation timeline is also important for dividing up assets during your divorce. Generally, any income earned and items purchased after the official separation date are considered separate, individual property that cannot be awarded to your spouse. There are two key exceptions to the separation waiting period. If you can prove that your spouse committed adultery (or other sexual acts outside of your marriage), or if your spouse has been convicted of a felony and sentenced to at least one year of jail time, you may immediately file for a divorce from the bond of matrimony. Keep in mind that, due to the complex nature of many divorce cases, it can take months or upwards of a year to get through the litigation process and receive a final order of divorce, regardless of grounds. If you and your spouse are considering divorce, you’ll want to speak with an experienced family law attorney to go over your options. A lawyer can also help you draft your separation agreement and reach the fairest, most equitable divorce settlement possible. The Law Office of Patricia E. Tichenor, P.L.L.C., has been serving Northern Virginia families for more than 15 years, and we can make this complicated, difficult period in your life easier. Contact us today to speak with a counselor about your needs and circumstances. Post-Nuptial Agreements – Could a Contract Save Your Marriage? As strange as it may seem, a post-marital or post-nuptial contract might be the secret to a strong marriage. It could also heal the wounds that might otherwise result in divorce. 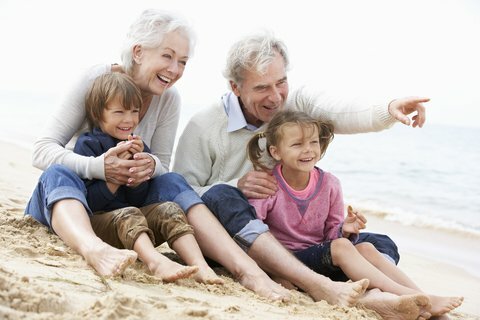 This can be especially true for people who are re-marrying and bringing with them separate assets, an inheritance from a deceased parents, or children from a prior marriage for whom they want to ensure protection of their inheritance. Having an agreement in place can save them the thousands of dollars it may cost them to secure in a contested divorce. Post-nuptial or post-marital contracts can also be customized to meet the unique goals of each couple, whether dealing with chores or other household responsibilities and how these tasks might be divided between the couple, or addressing the use of therapy and relationship-building exercises in the face of a spouse’s infidelity. A post-nuptial agreement is a formal, written agreement created and executed after a couple marries or enters a civil union, with the intent to settle a couple’s assets and affairs in the event of a separation of divorce. It might cover matters such as property division, spousal support, death of a spouse, or the breakup of a marriage. 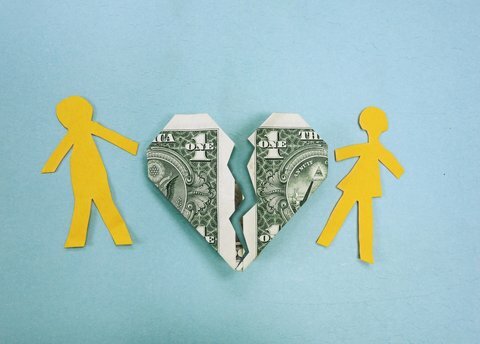 In most states, child support and child custody are not included in a post-nuptial agreement. 3. One that limits or sets forth rights in a future divorce, such as limiting alimony based on duration of the marriage, waiving alimony, or addressing marital property division. When Should I Prepare a Post-Nuptial Agreement? There are no guidelines for when to prepare your post-nuptial agreement. Some couples create one when tensions are high, others put one into place to protect assets and future assets. Before agreeing to any post-nuptial document, have an experienced family law attorney review it—especially if you are feeling uneasy about it. You can always negotiate the terms prior to signing, but not afterwards. Most agreements will withstand a challenge in the courts, leaving you stuck with something you might not want or should not have agreed to. Patricia Tichenor and Camellia Safi at the Law Office of Patricia E. Tichenor in Northern Virginia are experienced family law attorneys who can help you navigate the process of drafting and reviewing post-nuptial/post-marital agreements. Please contact us today—before you sign.